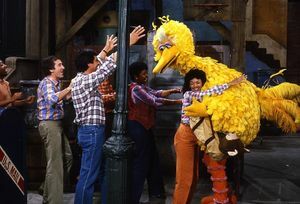 The young, as well as the young at heart who grew up with the likes of Oscar the Grouch, Kermit the Frog, and even Big Bird, mourn the loss of the entire Sesame Street crew. Though the death comes as no great shock to those that follow politics, it has yet to be told to the millions of children who watch and enjoy the show every day. The tall avian will be especially missed. Services will not be held, though millions will privately weep when Big Bird and his friends are put to rest later this year. ← Did they forget to turn over the keys?